This statement of surprise is taken from the introduction to Southern Rambles for Londoners published in 1948. The writer of both book and introduction was Stuart Petre Brodie Mais (1885-1975). Between 1914 and 1969 Petre Mais wrote more than 200 books, including novels, history books and school textbooks; but he was best-known for the immensely readable guidebooks he produced from the 1920s for an expanding audience of day-trippers, ramblers and tourists. These dealt with both British subjects (Walking in Somerset, England of the Windmills, Week-ends in England, Highways and Byways in the Welsh Marches, and so on) and foreign (Norwegian Odyssey, Austrian Holiday, Italian Holiday, Spanish Holiday, Madeira Holiday, etc). Mais often collaborated with rail companies on publications calculated to promote rail travel: The Cornish Riviera (1934) was printed by the Great Western Railway Company and Southern Rambles was printed by British Railways, Southern Region. 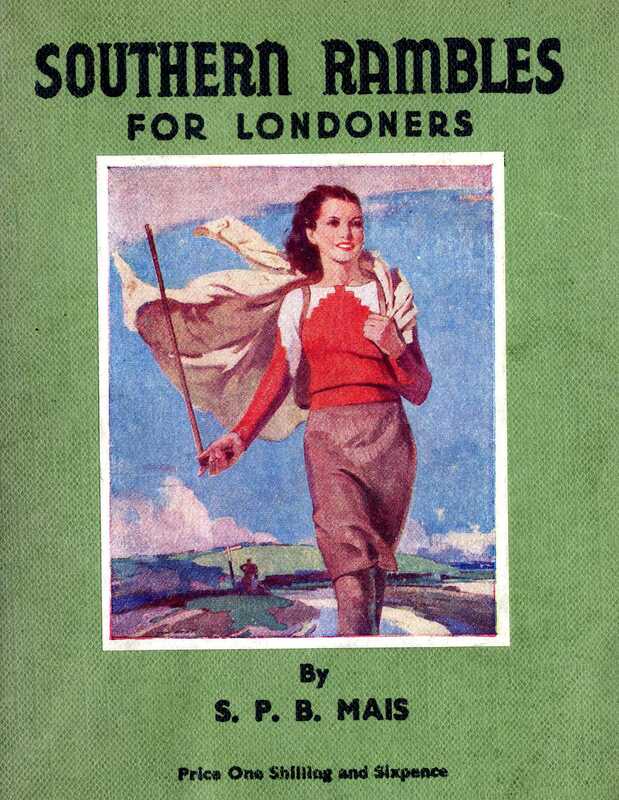 If the railway companies hoped to increase passenger numbers – hence revenue – by publishing these easy-to-use pocket guides to the countryside, Mais was motivated by a more idealistic agenda. A keen walker (‘as an undergraduate, I was never satisfied unless I covered about 35 miles a day’), he wished to encourage others to get out into the fresh air and benefit from what he termed the ‘healing power of nature’. …the healthiest and cheapest exercise and the purest of human pleasures. Few things have added so much to the sum of human happiness as walking. You and I only really become ourselves out of doors. Moods of depression, sullenness and despair all drop from us as we take to the open road. Your object is to achieve as complete a change as possible from your ordinary life in office or street, to let your eyes roam at one moment over wide horizons with an unbroken vista of blue sky overhead and at another moment to concentrate on the myriad colours interwoven in the carpet under your feet. Your object is to regain your lost senses, the sense of hearing that has been dulled by traffic and by bombs, the sense of sight that has been obscured by poring over ledgers, the sense of smell that has been vitiated by living too much indoors. As the second extract makes clear, the intended Southern Rambles readership was the hard-pressed London working man and woman (see cover below, illustrator not credited). 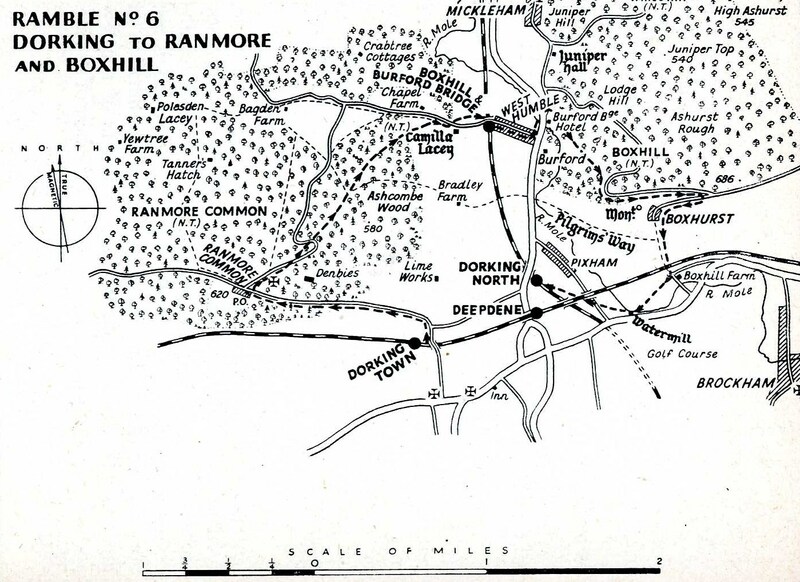 This last extract also reminds us that Southern Rambles was published in the immediate post-war period, a fact threaded through the text where mentions are made of tracks previously ploughed up by the passage of tanks on manoeuvres, common land commandeered by the war department and footpaths still blocked off following their use for military training exercises. During one remote walk, Mais stumbles upon a sign announcing ‘DANGER UNEXPLODED BOMB’ in bold red block capital letters. 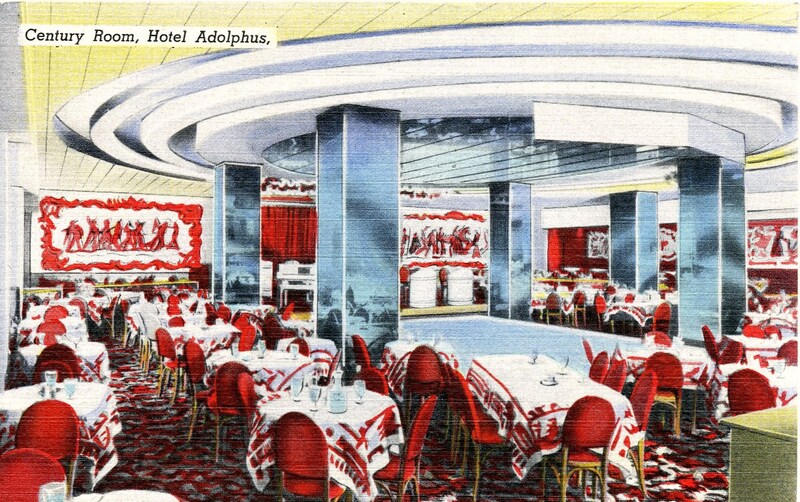 Sketch maps are included throughout to assist the reader with orientation. 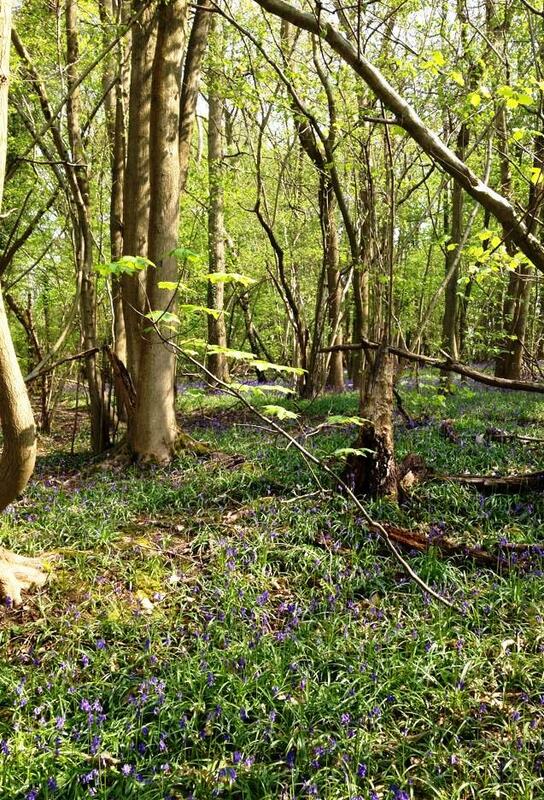 But Southern Rambles is much more than simply a meticulously constructed walking guide to Kent and Surrey. Each ramble is written up in the first person with descriptive asides that evoke a seemingly lost postwar rural world lying just beyond the satellite towns; a world of sandy lanes, wicket gates, fine oak trees, meandering streams, weather-boarded inns and ‘woods so thick that you could be lost in them for hours and fields over which man no longer ever passed on his way to church or pub or work.’ Although Mais accepted that this world was shrinking as London’s expanded its built-up borders, what is perhaps unexpected is the extent to which it is still possible, some sixty years after the publication of this account, to find remote spots for peaceful rambles just beyond the fringes of the capital. * All quotes are from S. P. B. Mais Southern Rambles (1948). For more information about S. P. B. Mais, click here. Maisie Robson has written abook about his life called An Unrepentant Englishman, which was published in 2005.